Need to build an engaging website with the optimum tools to date? 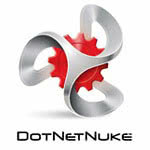 DotNetNuke™ is one of the best contenders out there. With myriad challenges facing businesses today such as changing content demands, DNN provides a host of solutions to address the evolving interests of the masses and content providers’ corresponding technology needs. Imagine yourself in the year 2000, which was characterized by static, brochure-centric ads – the beginning of online marketing, which ultimately led to advertising as we know it. Then fast forward to a mere decade later, when we find ourselves actively involved in e-commerce, and using mobile devices including smartphones, tablets, and beyond to access content on the go. If you’ve been able to stay up to date this far, you now must ask yourself if you’re prepared for the next decade: Can you preemptively address the trends for 2020, when we are likely to see a much more active web with even more outlets and demands? Supporting the rapid change of technology and consumer trends, DNN offers an arsenal of tools that can help us take this next step. As the world’s #1 WCMS for Microsoft, with over 1,800 commercial customers, DNN is also the largest, most successful open source CMS plug-in for the Microsoft ecosystem. Voted as one of the 2011 Inc. 500’s fastest growing companies, hosting over 700,000 websites and 1 million community members, DNN is uniquely qualified to help virtually any organization approach architectural challenges from just about every angle. Recently included in a TechValidate Case Study (April 2012), DNN’s platform is helpful even for nonprofits in terms of saving both time and money. SharePoint is a leading intranet solution that efficiently handles internal document management, including but not limited to the uploading, sharing, and editing of emails, reports, and other content. 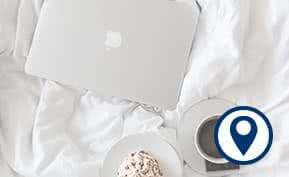 More generally, SharePoint ensures everyone in the business network can easily access data with foolproof consistency. Employed by businesses, nonprofits, or just about anyone who manages content, SharePoint streamlines the complicated process of managing and collaborating on critical business documents. DNN’s SharePoint Connector further optimizes this process, and has been successfully deployed in healthcare, government, retail business, partner portals, and more. In order to fully optimize your own content creation, here are 5 tips to successfully integrate DNN with SharePoint to get the most out of your corporate intranet. Only publish approved documents for display, preventing interference with your team. This way, you can ensure you’re using a streamlined collaborative process to manage your document. This will help you to display only the best documents that are edited and ready for consumption. Make sure that you keep permissions consistent throughout your work. This will prevent unauthorized access and ensure the secure management of digital assets. Moreover, this will prevent the redistribution of digital assets. Use Views, not Folders so that you have unlimited flexibility, a high level of granularity, and can combine properties easily. This will help minimize human errors and overall risk. Synchronize deletes, which will prevent “file not found” errors while perpetuating the removal of files. 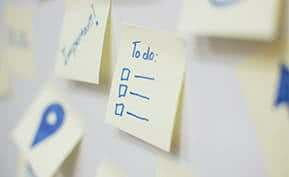 Cleaning house in this way will also reduce duplicates, unnecessary database clogging, human errors and overall risk. Lastly, do yourself a favor and enable error notifications. This way, synchronization will happen automatically and no one will need to be actively viewing or monitoring the document in question. The end result? An overall smoother process where you will be able to reduce the amount of time and effort required to monitor your content. Having employed the aforesaid tips, you are now able to clearly define the success metrics of combining SharePoint and DNN in terms of time saved, error reduction, diminished numbers of missing files, and decreased publishing time. The benefits are clear: a minimized impact on existing business functions. Having documents automatically available will also promote increased employee productivity. By leveraging existing processes, operations will now run at maximum efficiency with minimal additional effort. 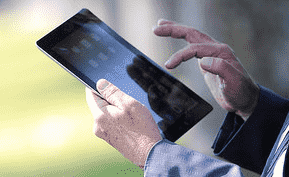 Your digital assets are protected, yet accessible in a timely manner. Free from the burden of unnecessary risk factors – including human errors – companies and organizations can use DNN in combination with SharePoint and be rest assured their content is being looked after, and spend their valuable time in other areas of the business. To learn more about DotNetNuke, see the DotNetNuke DNN 7.0 product review page, or visit their website at DotNetNuke.com. Looking for more information on content management and collaboration software? Check out our side-by-side comparison of leading platforms in the Top 10 Content Management Software report.